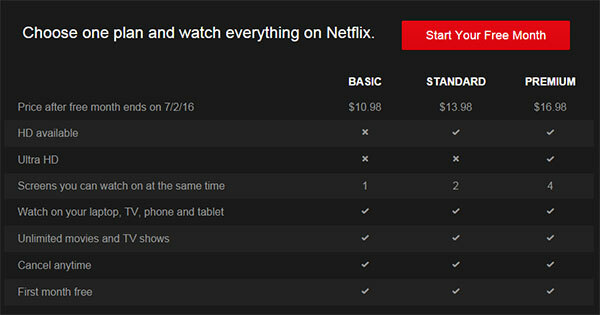 If you are traveling or relocating with Netflix, Netflix offers some pretty good options to help you get settled into your new surroundings yet still have some access to Netflix. Here are some of the things that they say about it. You will be billed in the currency of the country you signed up in. If you wish to be billed in the currency of the country you moved to, just cancel your account, wait until the remainder of the month is over, and then restart your account in your new country. Some countries don’t have the Netflix service available, in which case you may cancel your account by signing in and visiting Your Account. To see which countries currently have Netflix available, check out Where is Netflix available? It’s over 130 countries at the date of this post. If you’re traveling and want to watch Netflix on the go, all you need is a stable Wi-Fi connection for your computer or mobile/tablet devices. If we notice you’re using Netflix outside of the country where you originally started your account, they will notify you directly in the app of any differences you might experience while in that location. If you’re moving within your current country, you don’t need to change anything! Members with a streaming-only plan will be able to watch instantly through the Netflix service from the regions listed below. The movies and TV shows that are available to stream may vary by location, and will change from time to time.